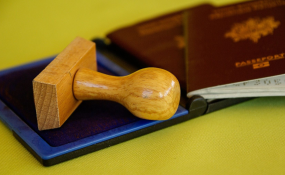 The latest Henley Passport Index, which periodically ranks passports for the level of travel access they offer, gives insight into which African passports currently provide the greatest global access and which the least. It may be some time before an "African passport" is available to citizens of the continent and we cannot predict how much access the passport will afford users on a global scale. While we wait for the idyllic future of a borderless Africa, it is of interest to see how much global access each African passport currently gives. The Henley Passport Index ranks passports according to the number of visa-free or visa-on-arrival destinations each passport has access to. According to Henley & Partners, a citizenship and planning firm, global mobility is rising as citizens of different countries can travel to upwards of 107 destinations visa-free as of 2018, compared to just 58 in 2006. This year Japan has the most powerful passport globally, with its citizens enjoying visa-free access to an astounding 190 destinations. Singapore and South Korea follow closely behind, with access to 189 destinations around the globe. The latest ranking shows that "despite rising isolationist sentiment in some parts of the world, many countries remain committed to collaboration", said Christian Kalin, group chairman of Henley and Partners. "The general spread of open-door policies has the potential to contribute billions to the global economy, as well as to create significant employment opportunities around the world." "Overall, 2019 looks set to hold some surprises in the travel freedom space as more countries and citizens embrace the benefits of global mobility," added the report. Africa does not lag behind, with citizens of Seychelles enjoying visa-free access to 151 destinations. Other African countries that ranked highly included Lesotho with 74 destinations, Kenya and Malawi with 71 destinations and Gambia, Tanzania and Zambia with 68 destinations. At the other end of the scale, the African countries ranked as having the least global access delivered some surprises - especially in the case of Ethiopia, which has been making great strides both economically and politically. Somalia and Syria ranked together at the rear, giving its citizens access to only 32 countries. Those two African countries find themselves in the same company as Afghanistan with 30 destinations, Iraq with 30, Syria with 32, Pakistan with 33 and Yemen with 37. Read the original article on This is Africa. Copyright © 2019 This is Africa. All rights reserved. Distributed by AllAfrica Global Media (allAfrica.com). To contact the copyright holder directly for corrections — or for permission to republish or make other authorized use of this material, click here. Zimbabwe: Do Private Schools Have a Problem?